2014 has been a busy year for me for many reasons but I thought I would briefly summerise some of the highlights for me over the year as well as some musings with regard to the future of the industry. I have been lucky enough to attend a number of events this year, including BriForum, vForum and IPExpo in London, vForum in Manchester, the Dell Enterprise Forum in Frankfurt, VMworld in Barcelona as well as a number of VMware User Group events. These events for me offer a great opportunity to meet individuals from the communities and the technical deep-dive sessions at these events really offer a valuable opportunity to get a better understanding on particular subjects from industry experts. I am looking forward to many events in the coming year including hopefully BriForum and VMworld again, I would also like to get a better understanding of Microsoft, Amazon and Google direction in the industry. This year has been a year of improvement and maturity for end user computing, we have seen VMware acquire AirWatch for $1.54 billion, the aqcuistion of cloud volumes as well as the release of Horizon 6. The subject of end user computing is becoming ever more defined and mature, we should no longer be awaiting the year of VDI and the focus should be firmley around the user. There is no single right answer to end user computing, we should be concentrating on the users, their use cases and needs, what can we do to make our users more productive? This will be a hybrid mix of many technologies from desktop PC’s to VDI, Mobiles and tablets and more. From a user perspective we need to ensure they can easily access their applications and data on whatever platform and wherever they are. From an administrator perspective we need to ensure this can be done in a secure way that will meet the user’s needs, it needs to easy to manage, monitor and upgrade. For me I like to practice what I preach and my business processes and personal life is spread between a mix of devices and operating systems, I use a Mac Book Pro as my main business device but also use an iPad mini, Samsung Galaxy Note Pro 12.2 and a Windows 8.1 VDI desktop. For me the device should no longer matter and it doesn’t, but it is imperative that the applications and data are where I need them when I need them. We are starting to see the ever growing importance of applications within the IT infrastructure, whilst they have always been important the focus of IT Administrators and consultants maybe hasn’t always been focused purely on the applications but the infrastructure used to run the applications. During 2014 it has become increasingly obvious that this is where the future of the IT industry lies, focusing on not keeping the cogs turning but ensuring our applications are meeting our business needs. Integration and automation not necessarily between infrastructure components but applications will be key in the software defined world, how are you going to get SaaS application A talking to SaaS application B? With the focus on the applications we are seeing growth in the areas that focus on the applications like Docker and Openstack, DevOps is key. 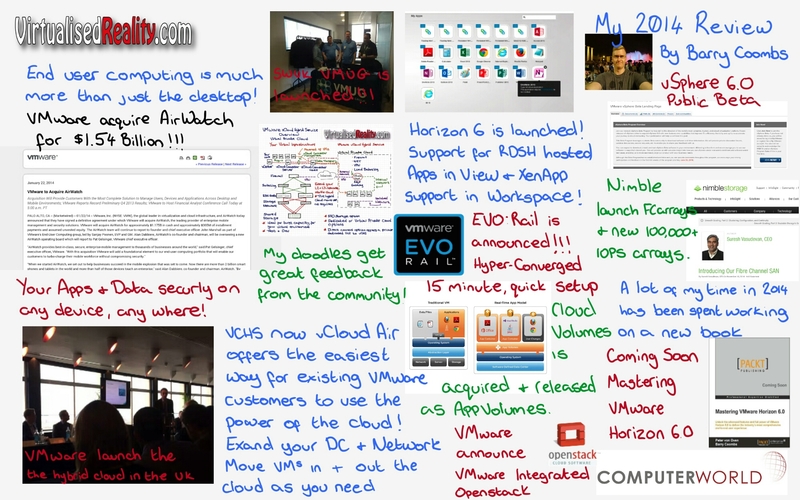 2014 for me was the year of the hybrid cloud, we saw VMware launch their first and second UK datacenter as well as a number of datacenters across the globe. From a customer perspective vCloud Air offers an easy way to understand how cloud will work within their business, with data residency guarantees that will suit their business needs, the ability to use the same tools they use to manage their existing private cloud as well as the ability to move workloads between private and public clouds when ever required. We have seen customers trial and start to move production workloads to the cloud using vCloud Air. For me the future of the hybrid cloud is more than simply your private and public infrastructures, SaaS will make a big part of your infrastructure and moving forward will be ever increasing. We are seeing Office 365 becoming the norm for many Exchange upgrades and new software installations will focus on SaaS first. Until we are able to replace all of our applications with SaaS alternatives, infrastructure is still going to be a key requirement and this is where vCloud Air offers the flexibility that businesses need. I think it is going to be interesting to see what the next Server OS from Microsoft is going to bring, you would assume that cloud integration will be baked in as standard, when deploying new roles you will get the choice to decide whether you want to deploy on premise or in Azure. We will have to wait and see. I think they is particularly going to be a lot of power in a Dropbox alternative baked directly into to the Widows OS, imagine the simplicity of being able to access all your business shares that are on you Windows files servers from any device, anywhere without a VPN or similar technology but the power will have to be in data security. As ever a focus this year has been on shared storage, no matter which way the industry is going there is always going to be a growing demand for storage, whilst at present that is largely on premise in the future we are going to see cloud storage options be ever increasing and important to our businesses. We have seen the growth of many next generation storage vendors such as Nimble and Pure Storage, we have see the hyper-converged market become ever matured with Nutantix and Simplivity alongside the launch of VMware Evo:Rail and the announcement of Evo:Rack. For me Nimble Storage has been really standout and we have seen some great reactions from customers when deployed in their infrastructures, it brings together simplicity and high performance with large capacity at a suitable price. Next year I am going to be interested to see how the adoption of Hyper-converged infrastructures grows, particularly with Nutantix and Evo:Rail / VSAN solutions within my customers. As ever we have seen Veeam build upon their fantastic backup and recovery product with the release of V8, this see’s improved methods of recovery and replication amongst other new features. Next year I would love to see them be able to offer a product that allows you to back up your VMs no matter if they are on premise or in the cloud with vCloud Air, Azure or Amazon EC2. But for me the biggest challenge moving into a SaaS world is data protection. Many people seem to forget about data protection when moving their applications and data to the cloud, but is this correct? Should we be trusting these important assets with one provider, who ever they maybe, or is having 3 copies of your data ever more important? I think the challenge of data protection in the cloud era is having a platform that will allow you to backup, protect and recover your data from a variety or resources to a different set of resources. Let’s say you are storing important business information with SaaS provider A, what happens if they go bust or have a massive data breach or business continuity issue? Maybe you are taking a regular dump of data to a CSV file or similar, but what use is this to your business unless you can convert and recover your data to SaaS provider B? Without global standards between similar providers this is where protecting SaaS applications will become difficult and in my opinion a big challenge for our industry. Maybe until this is solved outside of the main players like Microsoft and Google etc companies will choose to turn to IaaS solutions and protect their data in a more traditional way or will they just take the risk and trust the providers? I have really enjoyed taking part in a number of industry interview opportunities this year, I love sharing a my thoughts and visions for the industry as well as getting to discuss these subjects with others. I have presented at a number of events including the UKVMUG and my companies own events with a record number attending our most recent VMware event that is growing year on year. 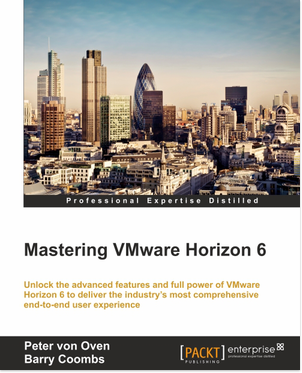 The biggest challenge for me this year has been working on a second book, this time with co-author Peter von Oven, we are nearing the end now and are hoping that our book Mastering Horizon 6 will be published prior to April by Packt publishing. my biggest achievement was to be made a director of the company I work for, I will be concentrating on pre-sales and operations for my business and this gives me a great opportunity to continue learning and evangalising about technology as well as getting involved with the internal processes and procedures within the business and understanding how modern applications will help our business. 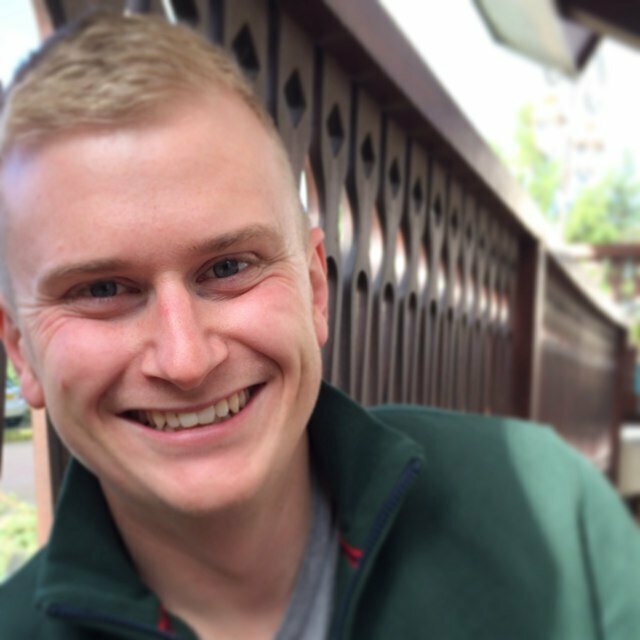 I am looking forward to helping the business grow and be better known within the technology industry as well as working on some exciting projects. That’s all for now, there are so many more areas I could talk about, 2015 is going to be an exciting year for many reasons. I hope to be able to catchup with many of you in the new year. Excellent year Barry, well done. Hope that 2015 will be even better for you!